Translating the Scriptures is not a simple task. Often, there is not a single word in English that means exactly what a word means in Greek or Hebrew. Words have a range of meanings, and the range of meanings can be much different from one language to another. This requires a degree of interpretation on the part of the translator. Some translations have more interpretation than others. There are two basic types of Bible translations: formal equivalent (literal, or word for word) and dynamic equivalent (thought for thought). Some versions attempt to bridge the two. Formal equivalence, also known as literal, or word-for-word, attempts to keep as close as possible to the original languages. The goal is to make a text that is more accurate to the original and still be readable in the English language. They have a high reading grade-level. A formal equivalent doesn’t work as well for idioms and expressions because sometimes the point gets lost in translation. However, formal equivalence is far better for serious study because of the accuracy of words and grammar. Dynamic equivalence, also known as functional equivalence, or thought-for-thought, attempts to translate the thought of the passage rather than the actual words. This allows more room for interpretation by the translators. The goal is to make a readable text, resulting in a lower reading grade-level. They can be better for expressions and idioms, but they’re not as good for word studies because the words and grammar may have been changed to make the text more readable. 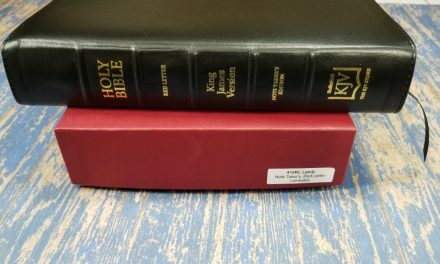 The NIV, NET, and HCSB attempt to combine elements of both types of translations. The HCSB attempts to remain as literal as possible by only using thought-for-though translation where necessary for clarification. Holman calls it an optimal equivalent. Another type of Bible, though not actually a translation, is the paraphrase. This includes The Message and the Living Bible. Paraphrases are not translations and are not based on manuscripts. An example of making a paraphrase might be taking the NIV and rephrasing it in your own words. There’s nothing wrong with reading a paraphrase, but I personally avoid them. I would not use them in place of an actual translation. They might be useful as commentaries. No translation is perfect. The fact that it’s a translation requires there to be a degree of interpretation, and no one’s interpretation is perfect. Every translation ever published has gone through revisions to make them better and correct mistakes. I won’t say that every translation is good. Some are better than others. A Bible translation should be chosen according to its purpose. 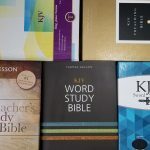 Is the Bible for general reading or serious study? For Bible study I recommend a literal translation because of their accuracy. The KJV, NKJV, NASB, and ESV are all good choices. I use the KJV (just my personal preference). My next favorites are the NKJV and ESV because they retain accuracy and readability. Many feel that the dynamic equivalence, such as NIV and NLT, are better suited for general reading. I also use a formal equivalence for reading. I even recommend reading the KJV for its literary style. I realize that not everyone enjoys the Shakespearean-style language, but I do believe it is worthy of study and reading considering its popularity and effect on the English language. This is a short summary of some of the major translations in use today, with a sample from 2 Timothy. The KJV is celebrating its 400th anniversary this year. There’s a good reason it’s been popular for that long. It’s had a major impact on the English language, and is very elegant in its style. It has gone through several revisions. Probably the most popular edition is the 1769. It is a literal translation and is the translation I use most for reading, memorization, and study. 2Ti 2:15 KJV Study to shew thyself approved unto God, a workman that needeth not to be ashamed, rightly dividing the word of truth. 2Ti 3:16-17 KJV All scripture is given by inspiration of God, and is profitable for doctrine, for reproof, for correction, for instruction in righteousness: 17 That the man of God may be perfect, throughly furnished unto all good works. 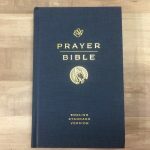 The NKJV from Nelson publishers is an update to the KJV. It contains manuscript notes that show textual variations. While updating the text, other manuscripts were taken into consideration. It is also a literal translation and is the 2nd translation I use for reading, memorization, and study. 2Ti 2:15 NKJ Be diligent to present yourself approved to God, a worker who does not need to be ashamed, rightly dividing the word of truth. 2Ti 3:16-17 NKJ All Scripture is given by inspiration of God, and is profitable for doctrine, for reproof, for correction, for instruction in righteousness, 17 that the man of God may be complete, thoroughly equipped for every good work. The NRSV is an update of the RSV, which itself is an update to the KJV. The NRSV uses newer manuscript discoveries, but also uses exegetical insights and linguistic theories, which tend to make it less accurate because of theological bias. It is also a literal translation. 2Ti 2:15 NRSV Do your best to present yourself to God as one approved by him, a worker who has no need to be ashamed, rightly explaining the word of truth. 2Ti 3:16-17 NRSV All scripture is inspired by God and is* useful for teaching, for reproof, for correction, and for training in righteousness, 17so that everyone who belongs to God may be proficient, equipped for every good work. 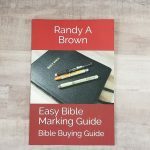 The NASB is an update to the ASV, which is also a revision of the KJV. The NASB is less archaic and more theologically conservative, but is so literal that it feels wooden. It is perhaps the most literal modern translation. It’s more literal than the KJV, which makes it good for study, but perhaps not as good for reading and memorization. 2Ti 2:15 NAS Be diligent to present yourself approved to God as a workman who does not need to be ashamed, handling accurately the word of truth. 2Ti 3:16-17 NAS All Scripture is inspired by God and profitable for teaching, for reproof, for correction, for training in righteousness; 17 that the man of God may be adequate, equipped for every good work. 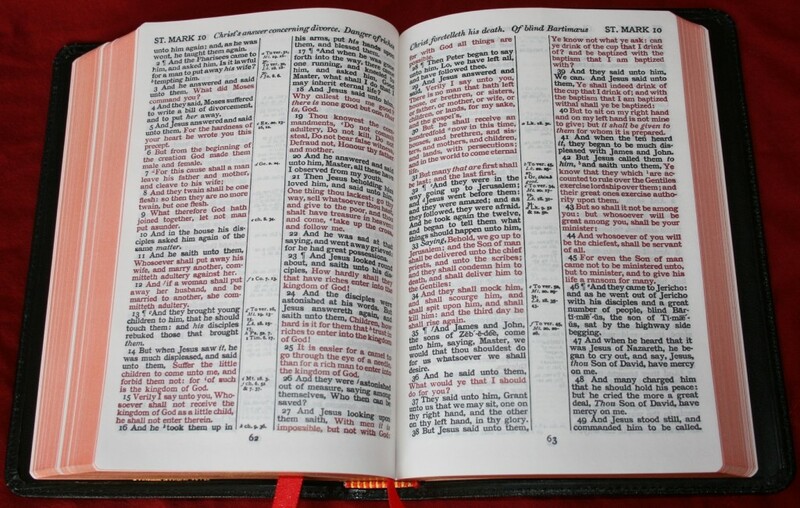 The ESV is essentially a revision of the RSV, which retains its KJV heritage. It attempts to be a new translation, but still uses theological terms in the same way that the KJV does (such as justification, sanctification, etc.). It is more literal than the KJV and still maintains its literary excellence, making it a great choice for reading, memorization, and study. I use it along with my KJV and NKJV. 2Ti 2:15 ESV Do your best to present yourself to God as one approved, a worker who has no need to be ashamed, rightly handling the word of truth. 2Ti 3:16-17 ESV All Scripture is breathed out by God and profitable for teaching, for reproof, for correction, and for training in righteousness, 17 that the man of God may be competent, equipped for every good work. The NIV contains elements of word-for-word and thought-for-thought translation. It is probably the most popular translation today. Although translators have taken some liberties, it is conservative in its translation. It can sometimes be too simple, causing it to not be as accurate as it could have been. It is a good translation for reading and study, although I prefer a more literal translation for study. 2Ti 2:15 NIV Do your best to present yourself to God as one approved, a workman who does not need to be ashamed and who correctly handles the word of truth. 2Ti 3:16-17 NIV All Scripture is God-breathed and is useful for teaching, rebuking, correcting and training in righteousness, 17 so that the man of God may be thoroughly equipped for every good work. The NLT is a functional equivalent translation. The translators have gone to great lengths to convey the thoughts of the writers, and it is therefore highly interpretive by the translators. It is a useful translation for reading, but I would prefer a literal translation for study. 2Ti 2:15 NLT Work hard so you can present yourself to God and receive his approval. Be a good worker, one who does not need to be ashamed and who correctly explains the word of truth. 2Ti 3:16-17 NLT All Scripture is inspired by God and is useful to teach us what is true and to make us realize what is wrong in our lives. It corrects us when we are wrong and teaches us to do what is right. 17 God uses it to prepare and equip his people to do every good work. The HCSB by Homan Publishers uses a translation theory they call ‘optimal equivalence’. They use a literal translation where possible, and use thought-for-thought where it is needed to clarify the text. It uses new manuscript discoveries and is a good choice for study and reading. 2Ti 2:15 HCSB Be diligent to present yourself approved to God, a worker who doesn’t need to be ashamed, correctly teaching the word of truth. 2Ti 3:16-17 HCSB All Scripture is inspired by God and is profitable for teaching, for rebuking, for correcting, for training in righteousness, 17 so that the man of God may be complete, equipped for every good work. The NET is a cross between formal and dynamic equivalence. It attempts to be the most accurate, the most readable, and elegant at the same time. It is a good choice for reading and study. 2Ti 2:15 NET Make every effort to present yourself before God as a proven worker who does not need to be ashamed, teaching the message of truth accurately. 2Ti 3:16-17 NET Every scripture is inspired by God and useful for teaching, for reproof, for correction, and for training in righteousness, 17 that the person dedicated to God may be capable and equipped for every good work. There are many other translations in use today, but this is just a simple overview. I recommend owning (and using) more than one translation. I try to stay close to the literal side of translations. I use several translations including KJV, NKJV, ESV, and NIV. Avoid translations that were written by certain groups in order to prove their own doctrines. These translations are skewed toward theological biases even at the expense of accurate translation.